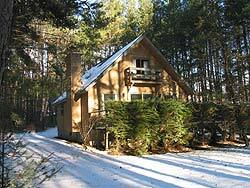 Our Swiss style Adirondack Chalet is located on the foot of Gore Mountain on its own private acre. It is only 20 seconds driving time to the entrance of Gore Mt. It is about a three minute drive to a lovely swimming pond across from Ski Bowl in the lovely hamlet called North Creek. Or you can bicycle ride there. Hudson River is only 7 minutes away where you can go fishing or enjoy some of the country's finest white water rafting. 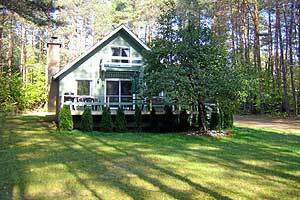 Horseback riding, other Lakes where you can go swimming or fishing, and hiking trails are only minutes from us. 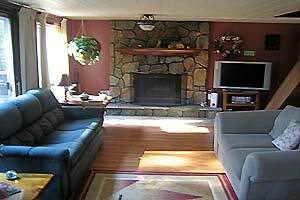 The Chalet has three bedrooms, one bath and a large livingroom/diningroom. 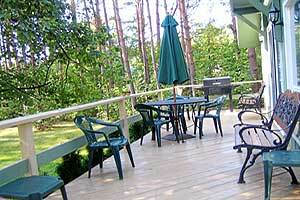 Also there is a lovely deck with nice views of the mountains in the distant. 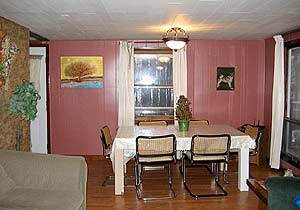 Each of the 2 bedrooms upstairs has a full size bed plus a twin. The downstairs bedroom has a full. In the livingroom you will find a full sofabed. 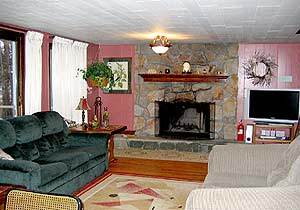 The Chalet has a stone fireplace, cable TV, VCR, DVD, Stereo, all linen, a fully equipped kitchen where you can cook and an outdoors grill and table for your barbecue. 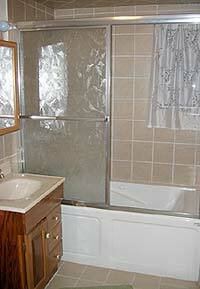 Convenient, yet private it makes for a great vacation anytime of the year. 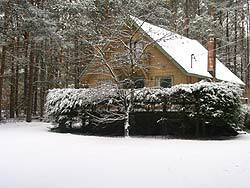 - Availability: The chalet is offered on a first come first served basis.